"How is it," I said to him, in surprise, "that you, who have probably never left the Moon, are so well-informed about what is happening on Earth?" This elaborate French utopia, written by Monsieur de Listonai (pseudonym of Daniel Jost Villeneuve) and published in 1761, describes the journey of an inhabitant of the Earth to the hidden face of the Moon which is reached via a flying space galley, complete with pilot, navigator and crew. There, he meets the Selenite Arzame who takes him to the fortified city of Selenopolis, a perfect square built according to symmetry and universal philosophical principles, whose citizens always behave with intelligent discernment and view the universe in ways that are radically different than those expressed by the people of Earth. 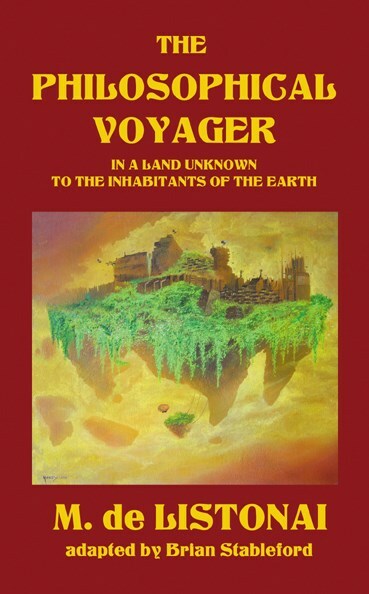 The Philosophical Voyager is the most spectacular early attempt to put narrative flesh on the idea of progress as it was understood in the Enlightenment Era, and it remained the boldest and most wide-reaching work of its kind for at least half a century.